Just Completed & Fabulous !! This timeless 5 bedroom pool home is perfect for family living & entertaining. 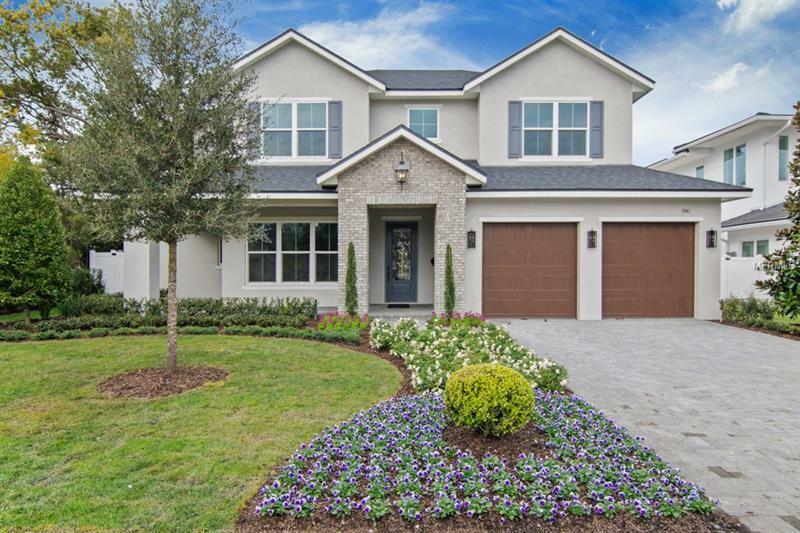 Meticulously constructed by Austin Homes w/ Interior Design by Steele Street Studios modern & traditional elements blend together w/ its open floor plan & clean lines. Main floor features a gourmet kitchen w/ Wolf & Sub Zero stainless appliances, over-sized island, S & W Omega cabinetry & spacious walk-in pantry w/ coffee center/dry bar. This amazing kitchen opens to the family room w/ fireplace, coffered ceilings & French doors. The spacious master retreat has a large walk-in closet. Master bath has a tub, dual vanities & large shower. Formal living/office w/ beautiful wall design. Private guest suite, laundry & powder bath complete the 1st floor. Upstairs are 3 bedroom suites, a bonus rm, 2nd laundry & huge storage room. Step outside & relax on your covered lanai w/ fireplace & summer kitchen or cool off in the sparkling pool/spa. Back yard is beautifully landscaped & fenced for privacy. Amenities include: high end plumbing & lighting fixtures, granite & quartz counter tops, Level 4 smooth finish walls & ceilings, hardwood floors in all main living areas including all beds, custom closet systems, brick paved driveway, PGT vinyl Low E insulated windows, core fill & block walls, high density spray foam insulation in ceilings, R13 in walls, Trane 16 Seer variable speed AC dual systems & 2 Rinnai tankless H20 heaters. Minutes to Park Avenueâs shopping, parks & restaurants.